ShortScale :: View topic - MIM 90s Duo Sonic neck scale compatibility? MIM 90s Duo Sonic neck scale compatibility? Posted: Sat May 20, 2017 5:13 am Post subject: MIM 90s Duo Sonic neck scale compatibility? 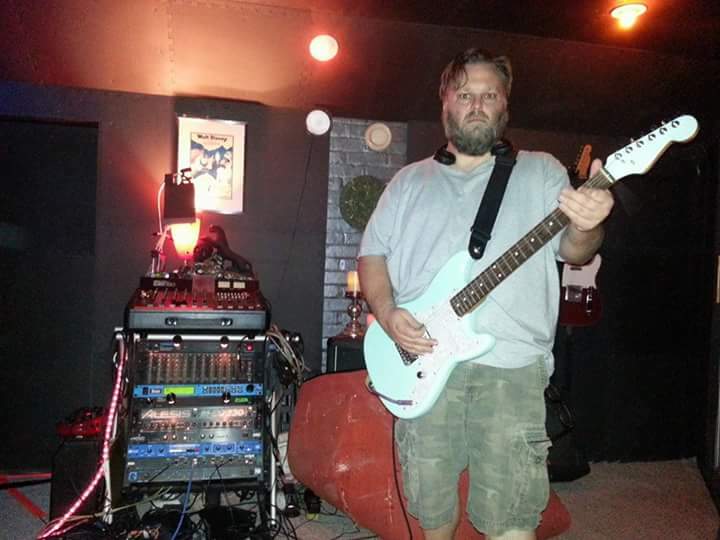 I have a 90s duo sonic body that I am looking to turn into a guitar. I have done hours of research and can't seem to find a straight answer: what kind of neck CAN or SHOULD I put on this thing? I could pay a ridiculous amount of money for an actual 90s duo sonic neck. there's one on ebay right now, but I would like to keep this as budget as possible. 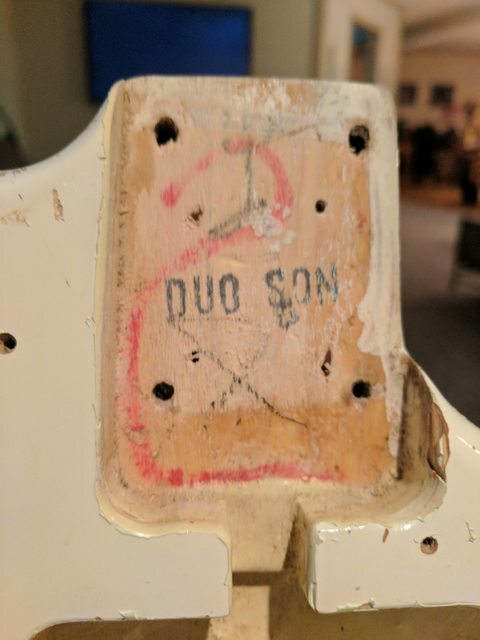 I was looking at this as a possibility: http://www.ebay.com/itm/Squier-by-Fender-Stratocaster-Strat-Standard-Guitar-Neck-21-Frets-Rosewood-/311812215407? not sure what scale that neck is though. With rare exception, all Strat necks are 25.5" scale and definitely won't work. Does the body have a serial number or date on it? Because, IIRC, there were several different runs of the Duo-Sonic in the 90s. Some of them were 22.5" scale. Meaning the only necks that will work are 22.5" Duo necks. If that's the case, I think you're probably better off selling the body and getting a complete guitar. The new ones are nice. as I said, when I got this it was as a working guitar, attached to a 24" '65 Mustang neck, so I assume another 24" scale would work. amazing how uncommon/pricey that size of necks seem to be though. Doing some further research, it's hard to believe the lack of information on these 90s Duo Sonics. Found this thread, and according to the second post, 90s Duos had 22.7" conversion necks. Second to last post in this thread confirms a 25.5" scale will work with some modification. Apparently you could also look for a 24" scale Jagmaster neck, but those aren't common. Edit: Good reading here. From this thread I get the impression you could also use a Squier Classic Vibe Duo-Sonic neck. It will work with a Strat neck. It's also worth remembering that the MM style bridge on it means that there's loads of travel to get the intonation spot on. The guitar at the top of this photo is a 90s Duo like yours that I slapped together as one of my first projects back in the day (tho at this point it had one of those anodised guards on it with the bridge pup a mile from where it should be.) so it def does work. Mez put a strat neck on a squier duo. i think it worked fine. Totally bolted in. The lay length of the bridge going from 22.7 to 25.5 is only off by less than 1/8", so you can totally stroke it into place via regular intonation adjustment. It's my favorite guitar right now. wow, awesome! thanks everyone, this is very heartening information. I will probably try out a cheap strat neck then and see how it works.